even when it is a subject I am fairly well versed in your posts are always a treat to read. Thanks! I can never be quite sure if I'm going into too much detail or just ranting pointlessly. But I love discussing these things and I'm glad you enjoy it too. I still do not see how this invalidates tachyons completely. What about the reinterpretation principle where by trying to detect a tachyon generates that tachyon, it is perceived as traveling forward in time, and observers can't distinguish between the emission and absorption? Right, I should make a disclaimer: it is specifically looking at faster-than-light particles which carry information (or can be used to transfer information), and in flat space-time (though curved space-time is also locally flat). But if we imagine a tachyon which is impossible to distinguish between its absorption and emission, then this might work. Like an analogy to the delayed-choice quantum eraser experiment, where we literally are sending a signal back in time, but the receiver cannot extract any information from it. It's like the universe conspires to prevent us from sending information faster than light. This is ultimately the nature of causality more so than the nature of light itself. Precisely. We might suppose that a thing exists which does not interact in any way whatsoever. This would then be okay for tachyons. But it is also the ultimate Teapot. It cannot ever be detected, by definition, so we cannot know of its existence. The thing which does nothing is indistinguishable from nothing. It could be interesting for the philosopher, but for the physicist it is exactly equivalent to not existing. Regarding light cones, what about scenarios where no FTL is required for paths that are on tilted trajectories? In general relativity we can consider a space-time geometry with closed timelike curves (CTCs) and time travel to the past by going slower than light. There are many space-time geometries which do this, such as the Kerr metric for a rotating black hole, Godel's metric for a rotating universe, and the scenarios discussed in David Anderson's page that you linked. However, I disagree with the language there. I would not say that these are examples of how time travel is possible or could be achieved. Instead I would say that these are solutions to general relativity which are unphysical. They may satisfy the field equations, but they don't exist in nature. Like the Kerr metric for the rotating black hole, where we know the solution is valid outside the horizon, but not correct for the interior where the CTCs occur. The appearance of CTCs (among other reasons) signals that the metric is unphysical there. What really happens must be different. So I think the study of such a metric is more a study of the properties of space-time. It is fascinating in and of itself to examine the things that can come out of the field equations, and further useful for testing our assumptions which built those metrics to begin with. Kerr's metric tells us that the details of the collapse to singularity in a rotating black hole is important, whereas it was not important if the matter was not rotating to begin with (Schwarzschild solution). Godel's metric tells us that the whole universe cannot be rotating (actually it's a bit more subtle than that, but close enough). CTCs around an infinite rotating cylinder tells us that we can't build such a cylinder. Similar things for wormholes used as time machines -- presumably Hawking radiation destroys the holes the moment it is attempted. how will you define teleportation? will teleportation work like worm hole? I think there are a few ways we could define teleportation. We could imagine literally transferring all of your particles to a new location in space, faster than light or instantaneously. Or we could imagine not sending the particles themselves, but only the information about them, to reconstruct your body on the other end. We could imagine teleportation by wormhole. Or teleportation of the consciousness. These have varying degree of plausibility or basis in physics. In my opinion, teleportation of your self by copying the information seems the least implausible. Impossible, actually. The "cone" is not a fixed figure and is in fact a result of series of equations, interpreted in a certain way. From my knowledge of physics, I suppose the cone will change it's shape according to the difference of equations, but without having actual equations on hand, I would need to work on that to prove it. And it is pretty hard analytical problem at that. Orientation of light cones depends on the geometry. Even in a non-rotating Schwarzschild black hole, the light cones tip to the side. Or rather, inward. This is actually the reason the event horizon exists and has the properties it does (or we can say it is a different, mathematical description of the same physical fact.) The tipping over of the light cone prevents the ability of a light-like or time-like curve (any allowed particle or observer) from escaping the inside of the horizon. To escape, you would need to go faster than light -- to travel to your own light cone's "elsewhere". Which I think is my new favorite way of describing why you can't escape a black hole. Once inside, the outside is not merely "outside". 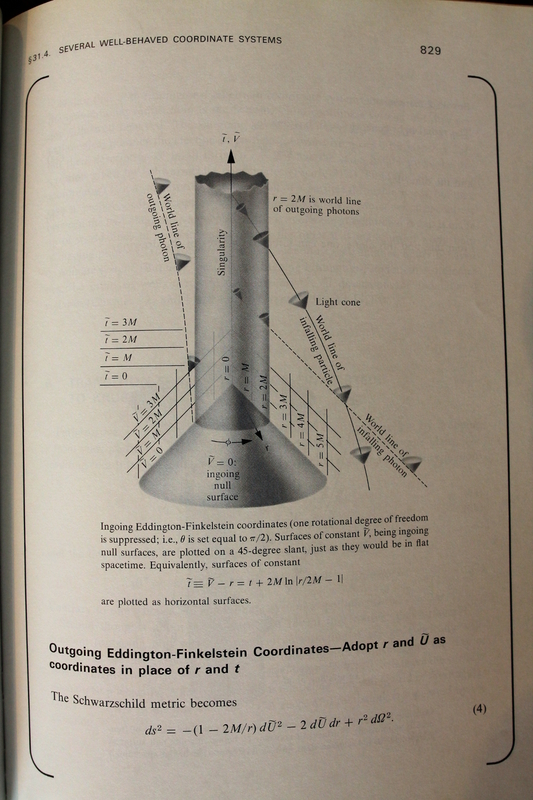 It is literally removed from your potential futures -- your future light cone. It is as elsewhere as elsewhere could possibly be. Maybe other civilizations found ways to circumvent the time dilations, let's say we have a ship that leaves it's home planet. It takes 1 year to go it's destination and 1 year passes at it's destination for example. But we haven't found those circumventions yet. There may be ways of circumventing the speed of light with suitable distortions of the space-time, but we're not sure if it's really possible. The Alcubierre drive is in my opinion the neatest example. I can never be quite sure if I'm going into too much detail or just ranting pointlessly. You have a great way of putting complex ideas into understandable explanations. It is literally removed from your potential futures -- your future light cone. It is as elsewhere as elsewhere could possibly be. If one crossed the event horizon and then used something like an Alcubierre drive to escape it what would the results be? Would you emerge far in the future? It's a great question. I wish I had a good answer. I've thought about it, but I honestly have no idea what would happen besides guessing. I don't know how to work the math for it, and the only answers I've been able to find are 'gut feeling' assertions, and for that reason I don't trust them. To solve it, we would have to combine the Alcubierre metric with the black hole metric, producing some smooth timelike curve that goes into the horizon, generates a warp bubble, and then comes back out again. But coming up with a metric that does this is... challenging, and possibly not unambiguous. To me, to say that we can do f-t-l space travel by manipulating space-time in such ways is about as neat as saying that f-t-l space travel is possible because we can simply manipulate the laws of physics. It must first be demonstrated a way by which space-time actually can be manipulated as described. The same goes for wormholes. Create a wormhole to the other end of the universe by folding the entire universe over? It's like saying that in the future intercontinental travel will be as convenient as a local bus trip because we can "neatly" move the continent to the traveller. Only much more absurd. If one crossed the event horizon and then used something like an Alcubierre drive to escape it what would the results be? I think that covers most people. It must first be demonstrated a way by which space-time actually can be manipulated as described. I think that was the point of the basic experiment Harold White had proposed with the interferometer. Focus lasers to a point and record the data and see if the distance the light traveled was shorter. As far as I know, every experiment was inconclusive and well within the margin of error. Eric W. Davis has some interesting papers and presentations on the subject of casimir like forces, negative energy/pressure, which hypothetically should allow some form of space time manipulation. Haven't seen any experimental evidence for any of that yet. There are enough unknowns where such things might be possible through clever engineering, but from what is known it would seem such technologies will forever be out of reach. I think that was the point of the basic experiment Harold White had proposed with the interferometer. Having a way of testing warp is a start, but it's a huge leap from creating detectable warp to the warp required for an Alcubierre drive to work. Still, I think Alcubierre drives seem more feasible than wormholes, but I suspect that the gap from detectable to usable spans over ridiculously many orders of magnitude even for an Alcubierre drive. Having a way of testing warp is a start, but it's a huge leap from creating detectable warp to the warp required for an Alcubierre drive to work. Thats the distinction that news articles loved to ignore. At least with warp drives there is a basic structure for how it would work, all we need is that magic ring around the craft. Where would one even start on forming a wormhole? i always wondered how human voice would sound in different atmospheres and atmopsheres pressures. even if they are toxic. ^This balloon does not contain helium. Watsisname, hehe. how does Sulfur hexafluoride created? 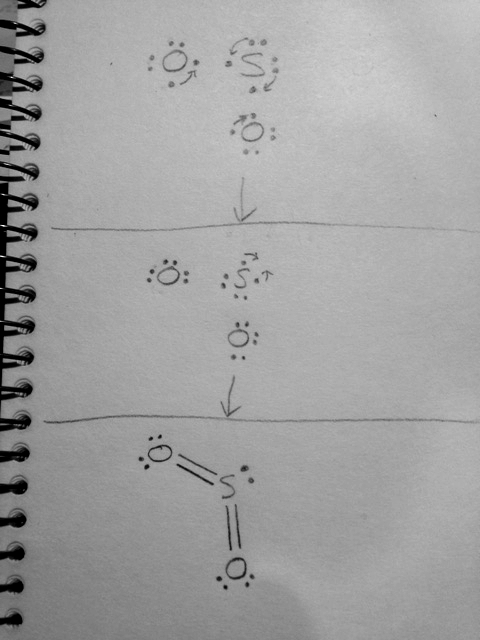 i know sulfur can make 2 bonds like oxygen, so the thing goes up to my mind is that the sulfur lost 4 electrons, maybe ion? but if it will lost 4 electrons it will also be able to make only 2 bonds like with Boron that can only make 3. Sometimes sulfur bonds with 2 electrons, but it has other oxidation states, too. 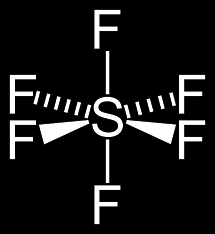 To bond with six fluorine atoms it must share 6 electrons, so that is our clue. 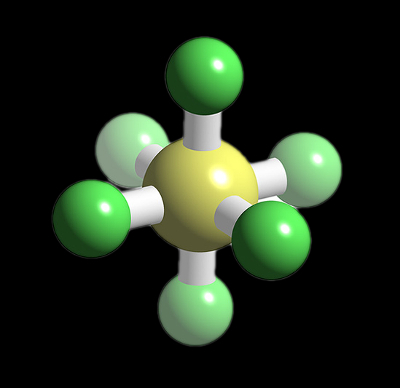 Now look to sulfur's electron configuration: it is equivalent to a neon atom, with additional electron shells 3s23p4. It is that entire shell of 6 electrons that gets shared to make SF6. Another example is when sulfur bonds with four oxygen atoms to make SO4: it makes two double bonds and two single bonds, so it's actually 6 electrons being shared there as well. Apparently, to synthesize it, they simply 'burn' the sulfur in fluorine gas. Probably not something you want to try at home. Also interesting is that it is among the most powerful greenhouse gases known -- 24,000 times more powerful than CO2! Its concentration in the atmosphere is about 8 parts per trillion and increasing by about 0.25ppt per year. Which is so small as to be pretty much irrelevant to climate even given its potency, but it's neat that we can measure such small changes in concentration. but of these factors the only one that would really be important for us is the molar mass. Air made up of larger molecules has a slower sound speed which makes our voices deeper. Watsisname, ohh cool we soon will start to learn about Redox and oxidation. so i yet to learn it. but i love to learn it before in school, so it will be more clear to me when i will study it. so in case of SF6 also the couples doing bonds? Eh, my knowledge shouldn't be overstated. I'm pretty good in a few areas, especially the natural sciences where my formal education has been, but I definitely don't know a lot about everything. I still have to do research and I am always learning, too. I think a desire for learning is one of the best things a person can have in life. Yeah, this is a very good model for how bonds form, from the available unpaired electrons in the outer orbitals, and that the atoms 'want' to either fill or empty that outer shell completely. However, don't take this model as scripture. It doesn't always work that way. Here's a good example to think about (also using sulfur) -- try working out the electron dot diagram for the bonding of SO2. If you assume that only the unpaired electrons form bonds, then you'll have a tough time getting it to work. A more useful model for this case is that something much more fluid happens.